In law school I remember studying a case which found that education is not a civil right, merely the exercise of government policy, meaning that government could exercise that policy or not, as it chose. If that bit of case law still represents the legal situation today, and I don’t know whether it does, there is one group of Canadians to whom its principle doesn’t and never did apply, regardless. All the Prairie and Numbered Treaties with Canada’s First Nations included education and schoolhouse clauses, and these treaties are enshrined in the Constitution, Canada’s law of laws, the education clauses along with them. The Supreme Court of Canada says that treaties with Aboriginal people (since equity will act to protect the weaker party) must be broadly interpreted in favour of the Aboriginal people. 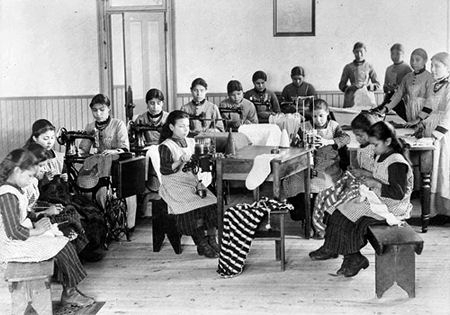 A schoolhouse on the nineteen century Canadian prairie provided an education sufficient for its place and time. A schoolhouse clause, adapted and read according to modern conditions, can reasonably be interpreted to promise an education sufficient for our times. That’s not too much for Aboriginal people to expect anyway in return for, let’s see, the Prairie provinces and a whole lot more. I point out the special constitutional status of Aboriginal education merely for its value as irony, of course. 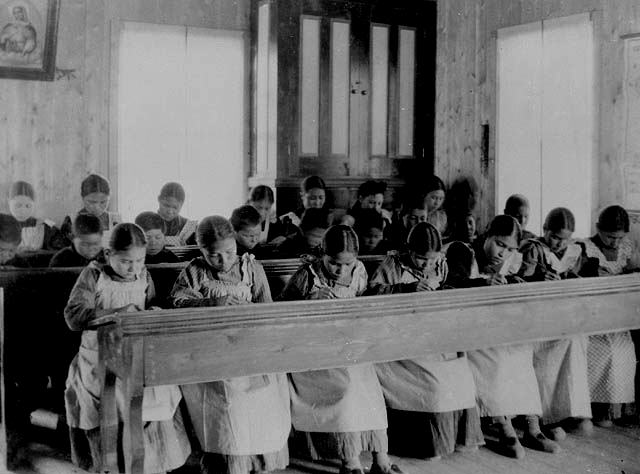 Because the education Aboriginal people got in exchange for their lands, resources and freedoms—achieved under solemn treaty, upheld by solemn laws—was mostly poisonous. It’s a tragic irony which gives us education as a form of child abuse. There’s the death rates, of course. Send your children off to school in a bus, have them return in a hearse. There’s the kidnapping of children, the separation of families, the destruction of communities. There’s the treatment given to the children themselves, the poor food, the terrible living conditions, the psychological abuse, the training in self-loathing, the actual whippings and beatings, the shaven heads and other humiliations. And the worse abuses. Then there’s the half a day of work, half a day of lessons plan. There’s the half a day of lessons, half a day of prayer plan. There’s the education is worse than ignorance plan. Okay, that wasn’t really a plan. 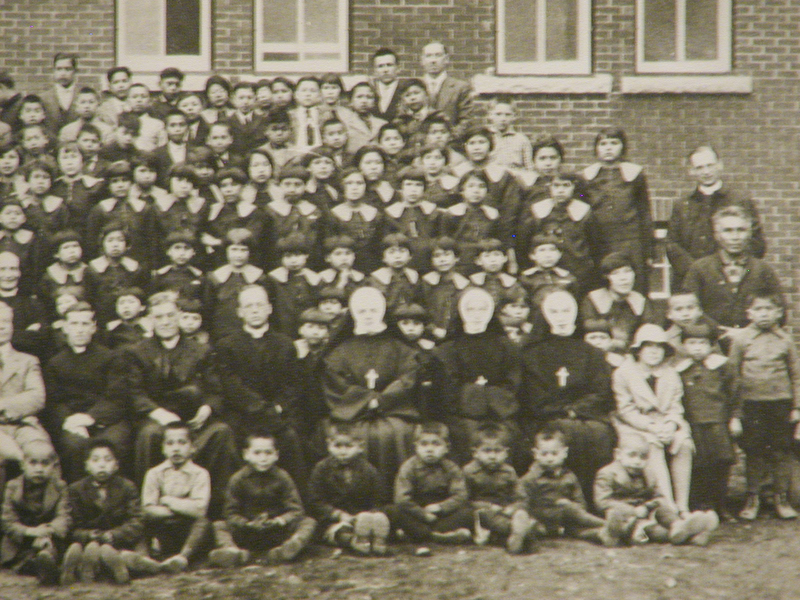 In the documentary “Mission Schools Syndrome”, about church-run residential schools in the Yukon, the priests claim a 5% success rate. But that claim assumes a success rate of zero if these Aboriginal children had been left alone, without schooling, to be raised in healthy homes by their families. But people can and do get by without literacy, and have done so for most of human history. And people can also learn to read on their own or with local tutors. Even a 10% success rate without the schools—which in the back-country environment of the Yukon, homeland to the people under discussion, is probably seriously understating it—would double the Mission School rate, rendering the Mission School contribution functionally negative. But that’s all over now, folks, so no worry, right? Now we have provincial schools where Aboriginal students have high school graduation rates at 40% the rate of other students. Or if they live in Vancouver, high school graduation rates 17 to 20% that of other students. What we don’t seem to have is a education system where Aboriginal graduation statistics and such like generate anything more than handwringing and excuses. What we don’t seem to have is a situation where the people who run our schools actually take responsibility for educating their Aboriginal students. I mean, not to the point where they actually do it or anything.